Lost In The Post Grad Job Search? 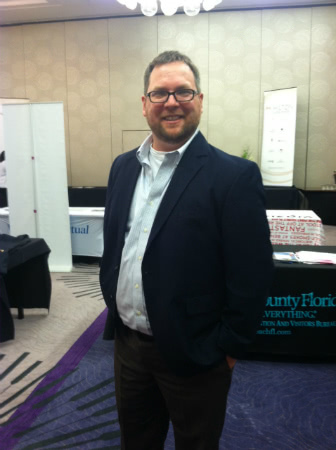 Sean Clem And Gradspring To The Rescue! KillerStartups > Startup Spotlight > Lost In The Post Grad Job Search? 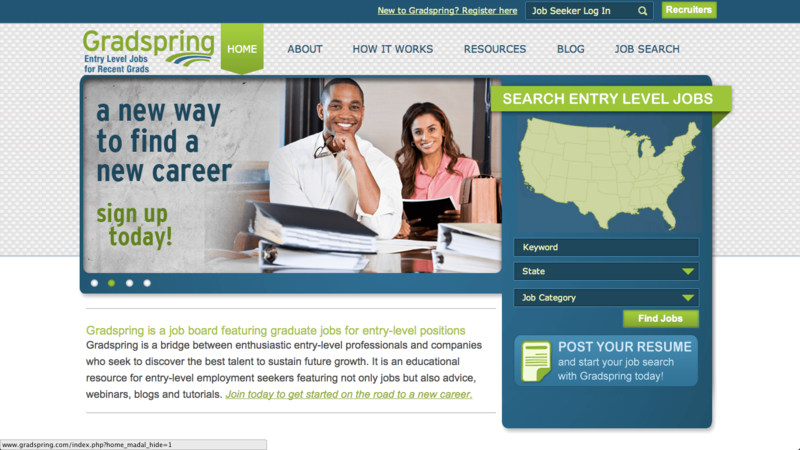 Sean Clem And Gradspring To The Rescue! He’ll probably kill me for publishing this, but Sean Clem had to set up a Skype account for us to do our interview, a fact that I found immediately charming. That was not the end of Sean’s Southern charm, but it became clear that it was definitely the extent of his slight Ludditism as he proceeded to tell me all about his website, Gradspring, which connects recent grads with good jobs they might actually have a chance at getting. I finished college right before the economy collapsed. I took a job working in a vintage store for the summer thinking I’d take a little break before diving into the “real world” and then… Oops. The housing market collapsed and all of a sudden I was up against people with Master’s degrees and 10 years of experience. Even though I ended up being one of the few recent grads that I knew who was working in her field, I definitely wish Gradspring had been around to help me through the process. Sean is dedicated to helping people get into the job market and he pulls it off with a attitude that must have served him well when he was working for the US Polo Association, before he decided to venture off into startup land. Sean and I had a great conversation about Gradspring, why Nashville rocks for more than just country music, and keeping it fun in the office. Aren’t you lucky you get to listen in? What was your motivation for starting Gradspring? I started this company as a result of friends and family who were graduating and having just a heck of a time finding an opportunity. I started looking around the web and exploring what other job boards were offering recent grads and saw that there was just a really big hole in this area. It was really just that. A friend of mine had graduated with double Ivy League degrees and couldn’t find a job. Couldn’t find an opportunity in her field. I just though, gosh, there’s got to be a better way to do this than through the career center or going to Career Builder or Monster. They’re kind of like the WalMart of the job world. They’ve got everything and it takes you forever to find it. I don’t know when the last time you were in a WalMart or a big box store was but the benefit is, hey, everything’s here! The downside is that you spend an hour looking for paper or an emory board or whatever it is you happen to be looking for. That actually leads to another question I had. How did you choose what types of jobs to focus on? We’re actually building a version 2 of the site that’s going to be out in October. What you’re looking at is kind of our beta version. We wanted to focus exclusively on helping recent graduates so the criteria that we set for job submission was fewer than two years experience, Bachelor’s degree, salary commensurate with industry and geographic standards, and no scam jobs. That was pretty much the result of asking students and recent grads what they want. It’s just, you know, good old fashioned market research. 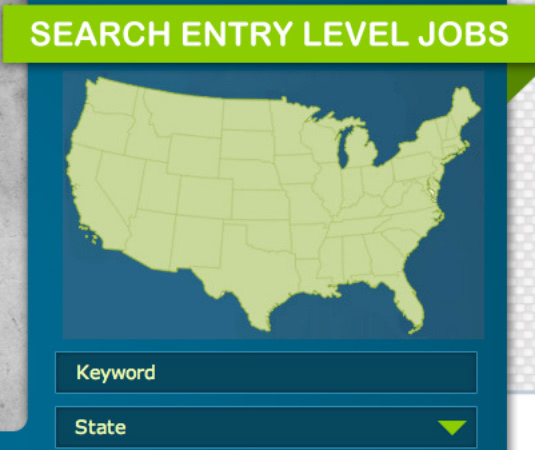 We’re in the process of adding 10-15 new companies a day as job posters and we’re up to probably 5,000 jobs in our database now. I don’t know how many we’re adding day to day but by the time that we launch version 2, I expect that we’ll be double the size that we are now, but still narrowly focused on the type of opportunities that we present to our recent grads. With the economy the way it is now, do you find that people with a couple of years of experience but not that much are interested in your service? I don’t have enough data to support one way or the other, but I can say this: we think that our service is great for a recent grad or a transitional person. Let’s say for instance you’re a social worker for three years and then you wake up one day and are like, wow, I hate this. Well, you’re going to have to start back at the bottom or in a different field. Our product is great for someone who is interested in making that transition from one career path to another. And who still has time to make that transition. You’re based in Nashville, correct? So did you start your business there because that’s where you’re from or was there another reason? Well, there are multiple reasons why I started the business here. The fact that it’s where I’m from is obviously one of them. I have a good support structure here. It’s hard enough to work for someone else and be far away from your friends and family but if you’re trying to take on a risky endeavor like starting a business from scratch it certainly helps to have family to fall back on and I have quite a bit of family here and a nice social network that was already built in. But the second reason I came to Nashville was because I wanted to move to a community that had a pretty high density of universities and thus college students. Nashville, aside from being known as a the music city, before it was the music city even, it was the Athens of the South. They call it the Athens of the South because it has the highest number of universities of any city in the southeast. There are like, 10 or 11 universities—2 research universities—within 40 miles of the city center of Nashville. They range from top 10 universities like Vanderbilt to Tennessee State University, which is kind of our urban university and is probably a 3rd or 4th tier public school. So you really get all student types here. It was great for us to be able to tap into some of the resources of the university services here. Nashville is awesome, too, by the way. It’s just a fun city. Do you think that having a startup has effected your personal life? (Laughs) Very much so. In both positive and negative ways. I’m a relatively collegial person to begin with—I’m pretty cordial and friendly—but this opportunity has allowed me to really meet a lot of people and expand my social network pretty extensively, so that’s been kind of cool. But the amount of time I actually get to spend with people has diminished because I’m at work all the time. So… It’s been both good and bad. I find that to be a really fascinating element of all of this because sometimes maintaining relationship when you’re so focused can be difficult, you know? Actually, you know, I found that when I was traveling all the time—I traveled like 300 days out of the year, before—that was harder than this. This has almost been a respite from the hectic pace I kept up before. It’s like any other job: it has its ups and downs. Let’s switch gears. Where did you get your funding? We’re part of an organization called Conduit Funding, which is sort of an incubator/venture capital firm. One of the unique things that Conduit does is rather than provide all of their funding via their VCR they introduce you to angels in the national market, so a great portion of our funding came from well-known angel investors here in Nashville and a few outside of Nashville. We have people ranging from local businessmen to very well known government officials who have put some funding into Gradspring. Did you found this on your own or do you have other founders working with you? I founded this on my own. Four now, plus the Conduit staff, so eight. Do you guys have an office or are you working remotely? We have an office and I’m actually sitting in it this moment, looking at one of my employees playing with her iPhone. Is that acceptable office behavior? (Laughs) Very nice, informal startup environment, huh? Yeah, everything except like, the GoGo dancers. We don’t have like, a water fountain that spits gold and diamonds. You look back at like those offices from the 70s, you know, and it’s just insane what people were spending money on! Definitely not the lean startup model!